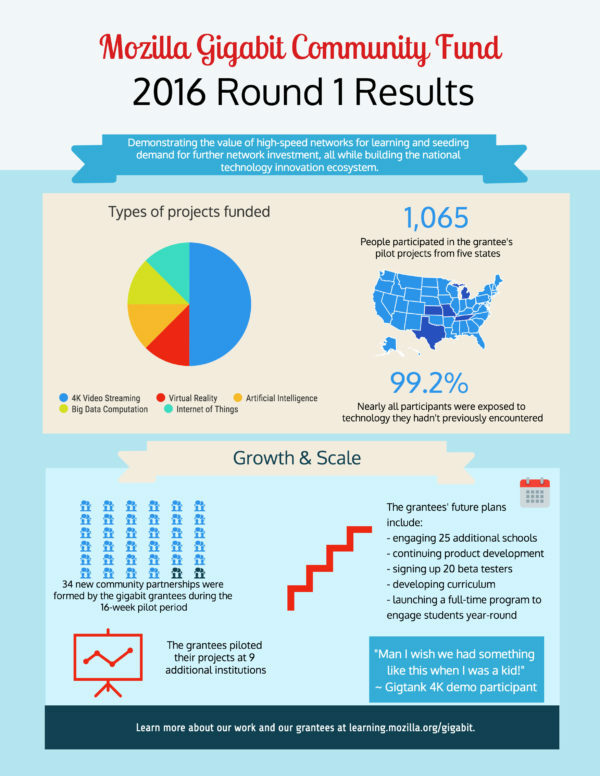 The 16 weeks between May 16 and September 4 were very busy for the nine Mozilla Gigabit Community Fund grantees. 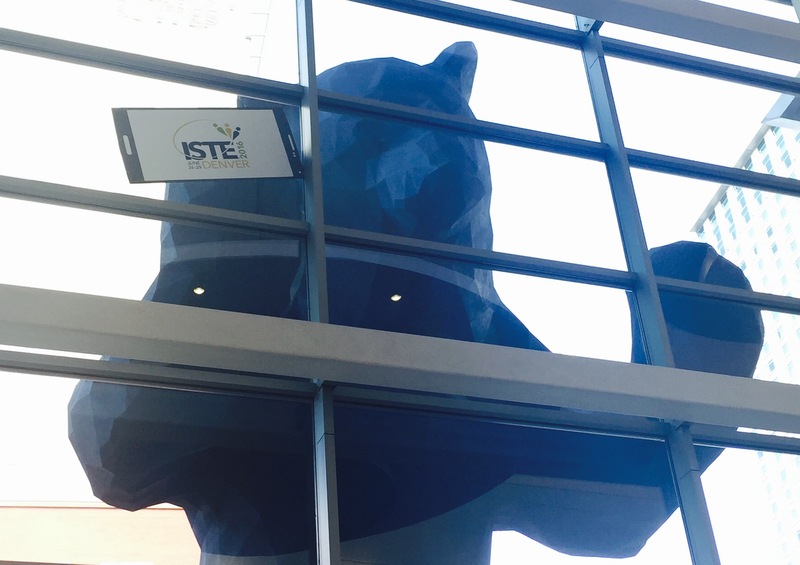 During that period, gigabit-related applications were developed to advance the internet and to help educators and students realize the potential power of gigabit internet connectivity. 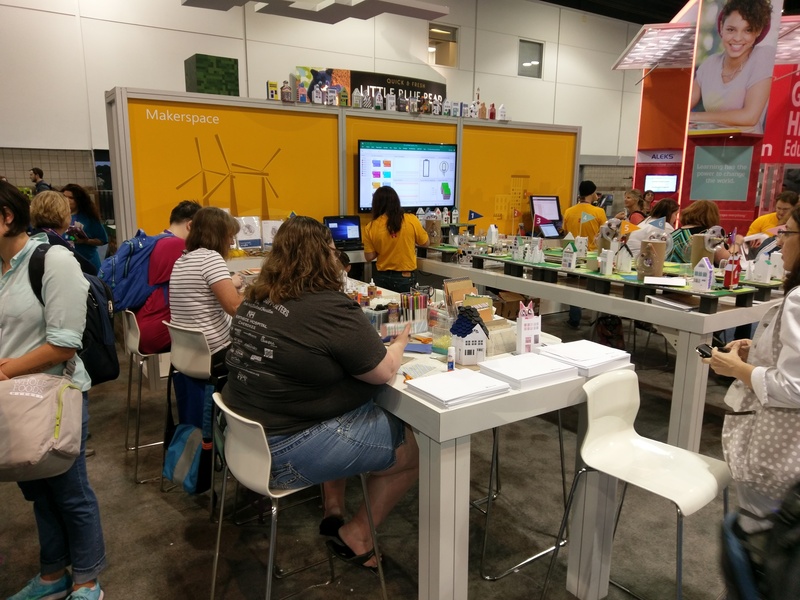 Applications were created with impacts ranging from increasing reading comprehension to understanding the environmental impacts of wastewater in architecture to creating virtual reality worlds to engage learners immersively. Some of the most significant outcomes can be found on the infographic below. The most encouraging result of these projects was the fact that they all plan to continue to the next phase of development, scale and expansion to new communities, both within our Gigabit city network and beyond. You can read more about each of the grantees and learn how to get involved on our new website. While the second round of Mozilla Gigabit funding has officially closed, stay tuned for our next announcement of new grantees coming in early January 2017. 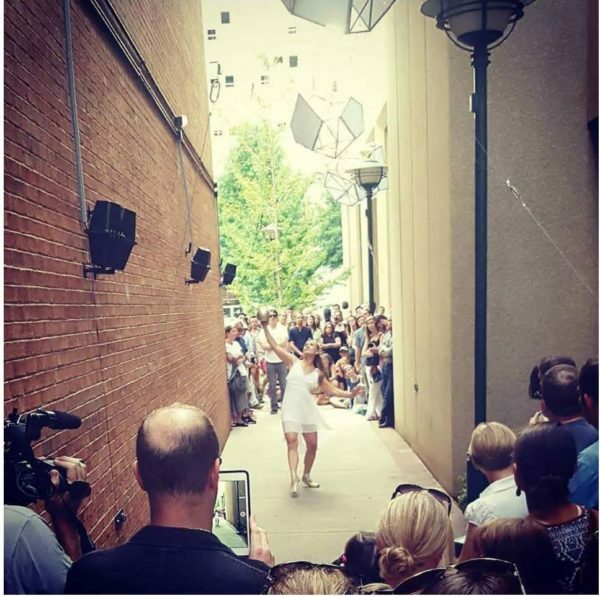 There has been a lot of buzz about augmented and virtual reality this past week in Kansas City, and not just because of PokemonGo. 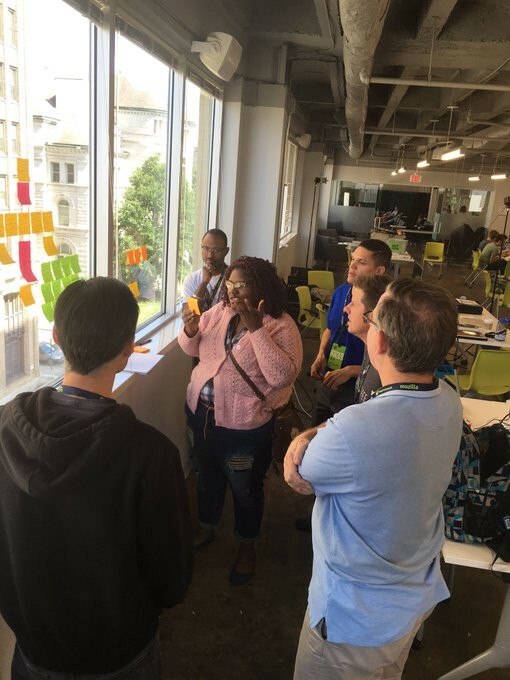 Kansas City’s first virtual reality hackathon took place over the weekend – and we gave it an educational spin! 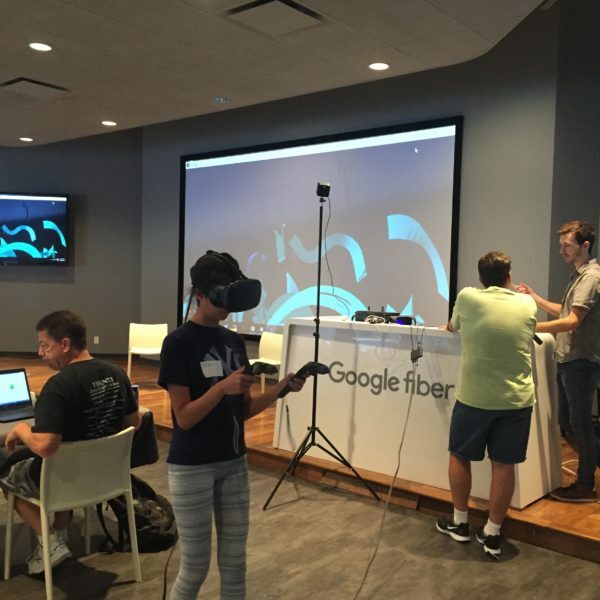 The focus of the event, hosted by KCVR, was to make virtual and augmented reality accessible. It served as an opportunity to bring together educators interested in how the technology could benefit their students with developers eager to learn how to build virtual games and experiences. 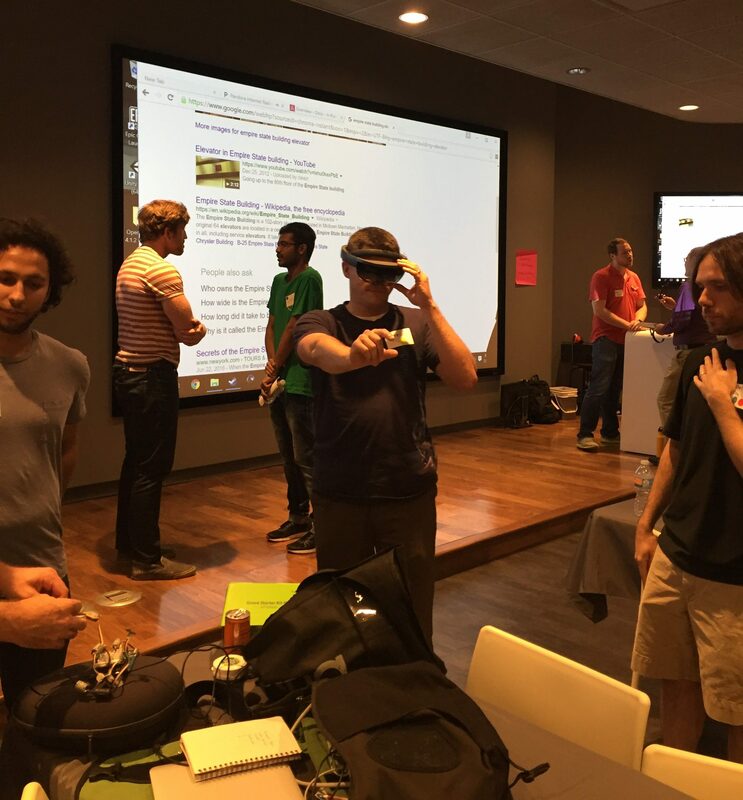 A KCVR Hackathon participant tests the Hololens during team networking. 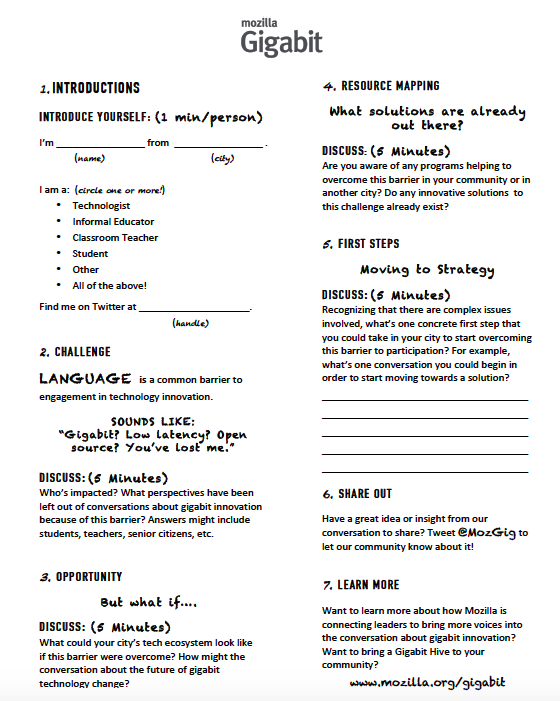 What if stepping into the classroom or library meant stepping into anywhere? Essentially that’s the core promise of virtual reality. 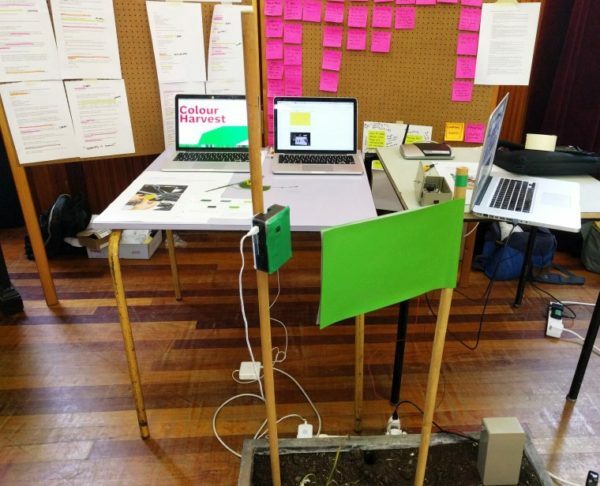 There is amazing potential to create new learning environments that are immersive and engaging. It’s as much about the technology as how you use it. Augmented and virtual reality technologies literally make it possible for educators to put the world into our kids’ hands. 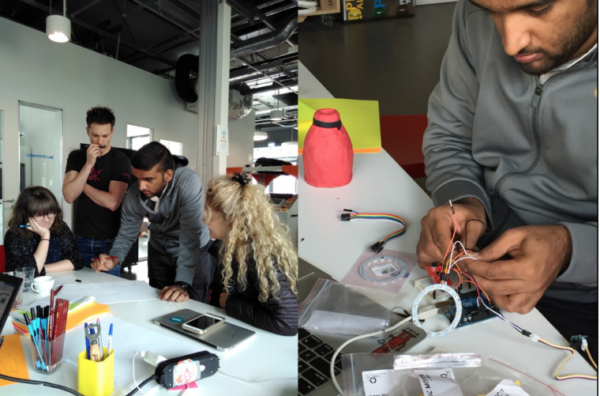 Over the course of a weekend, teams of educators, designers, developers, and students – most with little to no experience working with virtual reality (VR) – came together to build amazing projects that demonstrate how the emerging technology could be used to impact learning. Event co-hosts Steve Biegun and Andrew London, also the co-founders of KCVR, gave demos on platforms like A-Frame and Unity and talked about where the technology is going. They also jumped around from team to team to provide advice and help troubleshoot. Project ideas ranged from historical journeys and virtual reading experiences to game based challenges for understanding the laws of physics. 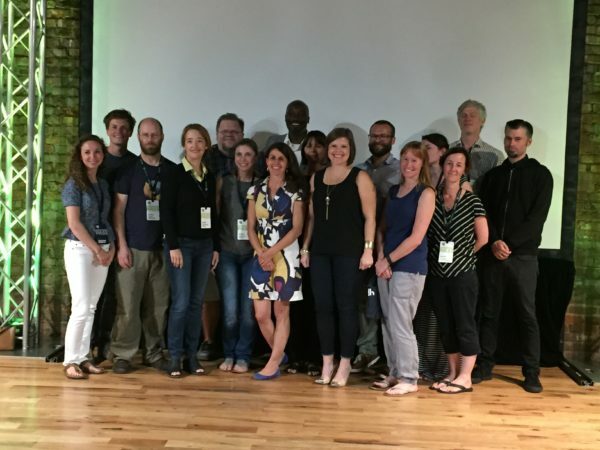 Educators worked alongside developers to conceptualize projects and advise on classroom applications. Developers with no previous VR experience prototyped with A-Frame, rolled up their sleeves to figure out how to incorporate motion sensor devices with VR headsets, and applied their code know-how in to build virtual environments in platforms like Unity. 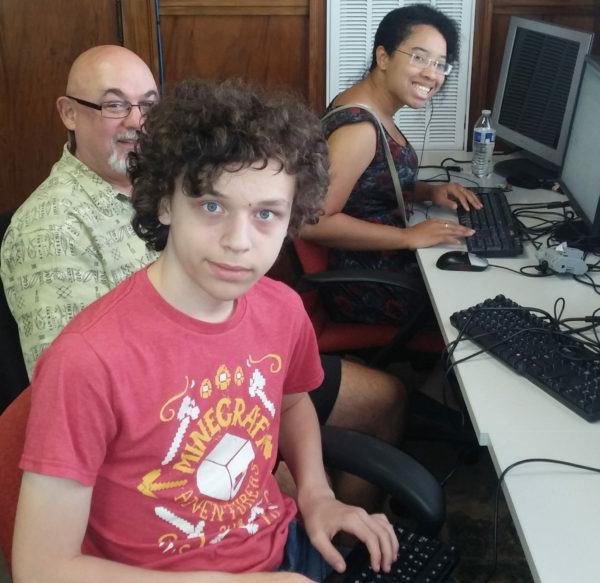 A local 13 yr old student with an interest in coding even joined a team to help out! Niko Cano, a 9th grade student in Kansas City, tests Tilt Brush while helping her team, LIFE, come up with educational VR game ideas. 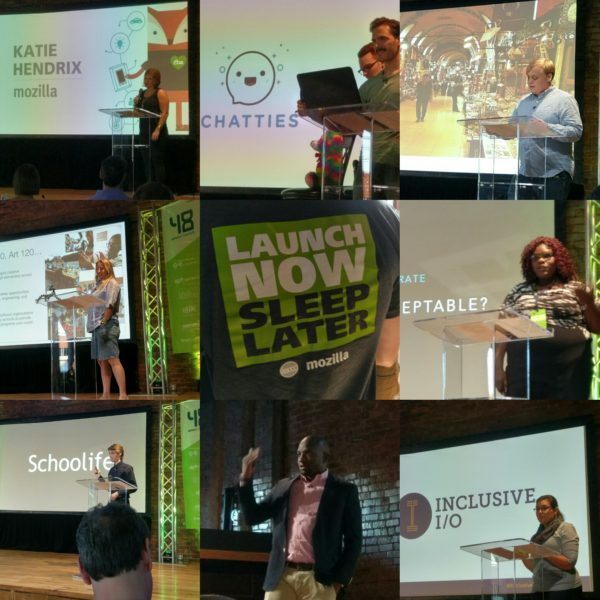 After a weekend of building and hacking, teams presented their projects to a panel of judges – Steve Biegun and Andrew London, Aaron Deacon of KC Digital Drive, and Brooke Cashion with zSpace. Best educational impact: Team Pennez presented a concept for building out libraries of virtual reading experiences to improve children’s literacy. Best use of technology: The Data XRAY team presented an application that combined the Hololens with IoT technologies to display uses of connected devices. Most engaging: The LIFE team presented a series of VR games to help children learn math and science. The games also incorporated motion sensor technology. The entire weekend was an adventure in learning. 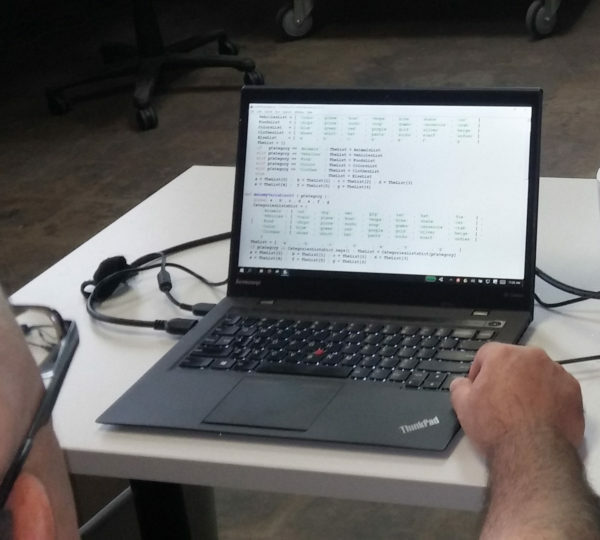 As teams worked to develop virtual experiences to enhance learning opportunities for others, many were also learning how to build with VR for the first time. It was INCREDIBLE! Local coverage of the event by the Kansas City Star and KCUR. Mozilla’s Curriculum Specialist shares some ideas for VR in education. Have a project idea? 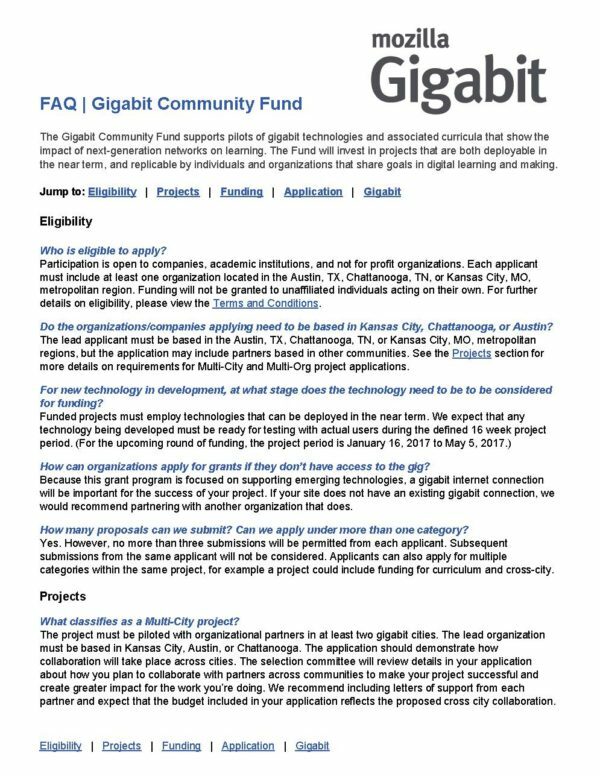 Learn more about Mozilla’s Gigabit Community Fund. Follow @HiveKC on Twitter to learn more about events taking place in Kansas City. If you’re in KC and interested in VR, attend a KCVR meetup.